Inviting all philomaths, future engineers, scientists, mechanics, designers, manufacturers and problem solvers who would like to explore 3D technology. Anyone who is excited to learn, share, teach and create can join the 3D Innovations Club. No experience in technology is necessary, just an insatiable curiosity and the willingness to make a difference. Accounting Club is open to all students who are interested in the business field. Activities include career exploration through guest speakers and networking with Maine West alums in the accounting/finance field. Our main activity is getting IRS certified to prepare tax returns for peers. We also take a Saturday field trip to volunteer at a local tax preparation site. Adventure club is open to all students. The purpose of adventure club is to safely take students to the edge of their comfort zone to experience life in new ways such as open climbs and open zip-lining. We have also taken field trips to Vertical Endeavors Climbing Gym. African American club is open to all students interested in learning and celebrating African American/Black history and culture. We have insightful, challenging, courageous conversations about race, rights and always end laughing. We get together with other Black Student Unions and Ebony Clubs from local schools for events, volunteer together throughout the year and help promote and plan African American History month. American Sign Language Club is open to all students interested in learning ASL and learning about deaf culture. We participate in story time with The Des Plaines Public Library and we create signed story children’s videos for our YouTube channel. Joining ASL Club will help you learn a new language and foster a deep appreciation for deaf culture and history. Do you enjoy hand drawn or computer animated Japanese artwork? Anime club is for anyone who loves to draw, watch, talk or simply share their love of anime with others. Art Club is for students who love art. Members do a variety of projects. Members may also elect to work in media that they have not been able to experience in the classroom or they can choose to develop work for their portfolio. Asian Club is open to all students interested in anything to do with Asia or Asian culture. We frequently meet to cook Korean BBQ, try our hand at making sushi, origami and much more. We do fundraising and try to be involved in the community and bring awareness to the eastern world, it’s culture and food. We occasionally collaborate with other clubs, such as anime club, and have cook outs and events. The Auto Club is open to all students who are interested in the automotive field. Our goal is to build and race a Super High Mileage vehicle for the ChallengeUSA competition this spring! Activities include guest speakers, visits to automotive industry companies and technical schools. The Board Game group is for students who enjoy playing games like Scrabble, Blokus and Monopoly to Yu-Gi-Oh and Uno. Students come and play any game they wish with other students. The club has its own games, but students are more than welcome to bring their own. Maine West produces a musical annually. Students are encouraged to audition for parts. There are also many opportunities for students to participate behind the scenes with stage craft/lighting/sound/ costumes and makeup. Child Care Club is an organization for members of the Child Care Occupations/Preschool class. We are affiliated with Family, Career and Community Leaders of America (FCCLA). Club members raise funds to participate in FCCLA leadership activities and childcare competitions sponsored by FCCLA. The Choraliers are an auditioned, extra-curricular ensemble that performs a wide variety of challenging music ranging from acapella and pop to jazz. Auditions are open to all students enrolled in a music ensemble. This is an organization of seniors responsible for planning class activities and events for the year, especially the Homecoming Dance and Senior Prom. Money earned from fundraisers helps offset the cost of these activities and Senior Scholarships given at the end of the year. This is an organization of students responsible for planning class activities and events for the year. Money earned from fundraisers helps offset the cost of their senior prom. Over the course of four years, class council members will help plan proms, homecoming floats, homecoming window paintings and the homecoming dance. This is an organization of students responsible for planning class activities and events for the Class of 2021. Student council members generally participate in numerous fundraisers to offset the cost of their senior prom or give back to the community. Over the course of four years, class council members will also help plan proms, homecoming floats, homecoming window paintings, the homecoming dance, and school-wide events like the Maine West Fun Fair. COACH is the student tutoring program at Maine West. The mission of COACH is to improve student learning through students helping students. COACH tutors are available for all subjects before and after school. The Maine West Color Guard is an extra-curricular performance group. The group performs in the fall with the Marching Warriors and at all home football games and parades, at home basketball games and other events in the winter and in the annual Variety Show. Students will learn to spin flags, rifles, sabers and other visual equipment, while incorporating movement and dance. Culinary Arts recognizes students enrolled in advanced culinary arts courses for their ability to work as a team to produce quality meals using industrial culinary arts/food service techniques for competitive events. DECA prepares emerging leaders and entrepreneurs in marketing, finance, hospitality and management in high schools and colleges around the globe. Throughout the school year, DECA members participate in many conferences and competitions that develop leadership and business career-readiness skills. Any Maine West student who is currently enrolled or has taken a business course can be a DECA member. Maine West has a very active drama club and is the home of Chapter #2119 of the International Thespian Society. All students are eligible to participate in the vibrant clubs and spend time with peers interested in theater, comedy, improvisation and all aspects of theater production. Learn and participate in a multitude of theater related opportunities. The troupe sponsors productions and members are able to attend a variety of drama related field trips and activities. The fall play production is a great way to get involved, make new friends and discover something about you. Students are also needed “behind the scenes” to build scenery and help with costumes, props and makeup. No prior experience is necessary. In this club we talk about fashion, hair and makeup trends. Members participate in makeup and hair tutorials and demonstrations. We also learn how to make simple and chic clothes and accessories. Family, Career and Community Leaders of America is the Career and Technical Student Organization for Family and Consumer Science students. FCCLA is a national student organization that helps young men and women become better leaders in their families, careers and communities. Students learn skills for life: planning, goal setting, problem solving, decision making and interpersonal communication. FCCLA is the only student organization with the family as its focus. Members have the opportunity to demonstrate leadership skills through participating in proficiency events, showcasing community service projects, exploring careers, attending educational sessions and electing officers. This club is open students interested in French culture. Students participate in a variety of activities such as going to French restaurants, playing games, listening to music, creating crafts and seeing French films. Friends Connect is a club that provides opportunities for students in the ELS program to connect socially with peers throughout the school. Monthly events are planned to facilitate these interactions. Harry Potter Club is a fan club dedicated to the wizarding world of Harry Potter and company. We are an enthusiastic bunch who meet to celebrate our fandom by discussion, watching movies, researching on Pottermore and debating house characteristics and whether or not we got the right patronuses. Our group started in 1998 to celebrate the cultures and traditions of our Maine West Hispanic student population with the hope of providing them with additional resources to be successful. We sponsor events such as the Dia de los Muertos and Posada Dance to promote and celebrate our culture. We are also dedicated to organizing fundraising activities and events for college scholarships. In order to raise funds we have organized dances and food and beverage sales. Any and all are welcome to join the Indian Student Association. ISA is a club that celebrates and educates Indian culture. We host various events throughout the year as well as participate in district activities. You don’t have to be Indian to join. You just have to enjoy other cultures, trying new things and having a good time. LEGEND is the organization that builds the yearbook publication. Prospective members are encouraged to apply in the spring for the following school year. After applying, a writing sample will determine your eligibility to join us. The Marching Warriors is a co-curricular ensemble that is based out of the Maine West Band Department. The music portion is rehearsed during curricular classes, while the marching component is practiced outside of the school day. The Marching Warriors perform at home football games, local marching band competitions, school assemblies, and an indoor showcase concert in our auditorium. Our ensembles not only strive for musical excellence, but work to educate all students in the aspects of self-motivation, self-discipline, group leadership, interpersonal communications, and goal-oriented processes. In order to be in the Marching Warriors, you must be enrolled in one of the four band curricular courses. The Math Team competes against other area high schools throughout the year. Anyone interested in problem solving, challenging themselves and learning new math topics that may not be covered in math classes is encouraged to join. The team meets for practices about once a week and competitions about once a month. The movie club is for anyone who enjoys watching movies on the big screen. The club usually meets twice a month on Fridays after school in L101, the little theatre. Click on our website to see all the meeting times. We are dedicated to a music-listening experience on vinyl (LP). The purpose of the Maine West LP Appreciation Society is to create awareness and appreciation of music on LP. We will discuss music, music history, records, record labels, where to purchase LPs and possibly trade records among its members. Open to sophomores, juniors and seniors with a 3.0 GPA. We work collectively to bring artwork to the building and help the community. 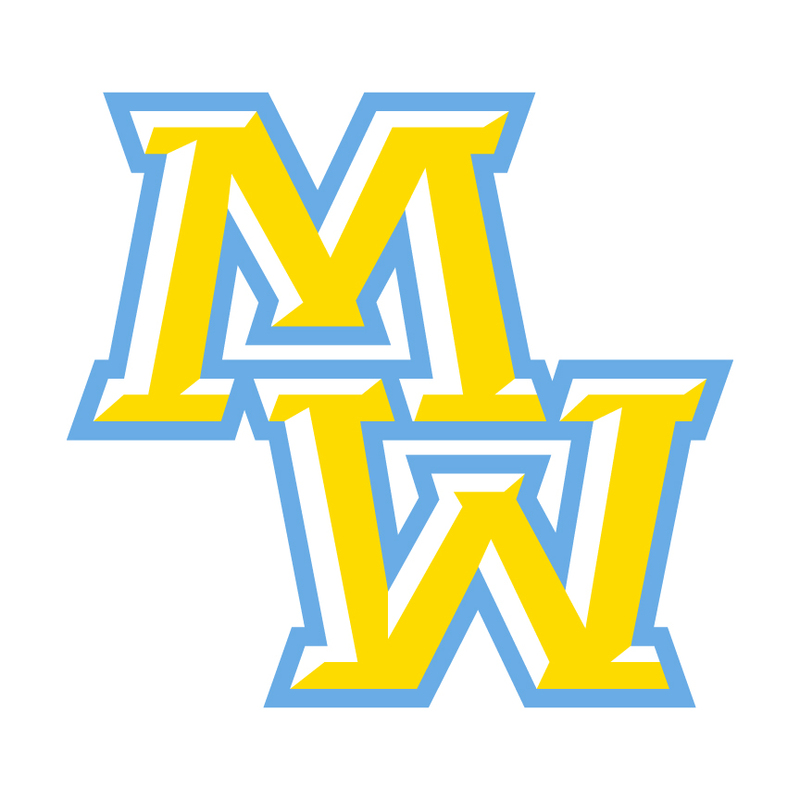 Juniors and seniors who have a cumulative, weighted GPA of 3.5 or higher are invited to apply to Maine West’s chapter of the National Honor Society. Applicants must demonstrate an ongoing commitment to service as well as evidence of leadership skills and a strong character. The application process begins in November with the induction ceremony in January. Empowering the next generation of digital entrepreneurs. Novus is committed to building a generation of leaders, innovators and entrepreneurs by empowering the youth of today with the skills needed to succeed tomorrow. The Warrior Library Book Club is open to all students who love to escape into a good book. We read all genre’s and usually decide as a group what we will read. We also have opportunities for free choice books so we can come together and talk about several books we are excited about. We often have food and we meet in the library. Pi Sigma Pi is an honor society open by invitation to sophomores, juniors and seniors to recognize academic excellence in the social sciences. In addition to providing members academic recognition, Pi Sigma Pi also plans social science related field trips and events. Everyone is welcome to join Polish Club. It is a great place for members to enjoy Polish culture, share holiday traditions, learn about the history and indulge in Polish desserts. Polish Club members partake in various activities throughout the year such as homecoming, fundraisers, the International Celebration and Taste of Polska. Polish Club meets every other week and allows for members to make new friends that have something in common. Members of this team are nominated by their freshman teachers and by application. Students serve their sophomore through senior years in a leadership capacity. The purpose is to promote leadership, foster community, receive feedback and make positive changes at Maine West. An national honor society for high school journalists, Quill and Scroll members participate in workshops, team-building activities, celebrations of success and national writing and photography competitions. Scholastic Bowl is a trivia competition. If you like playing Trivial Pursuit or if you like watching Jeopardy or Who Wants to Be a Millionaire, then you’ll love Scholastic Bowl. Students face other schools and answer trivia questions about literature, math, science, history, politics, television, music, movies, pop-culture, and much more. We practice on Mondays and have about ten competitions from October-March. Science Olympiad competitions are like academic track meets. Each year, a portion of the events are rotated to reflect the ever changing nature of genetics, earth science, chemistry, anatomy, physics, geology, mechanical engineering and technology. By combining events from all disciplines, Science Olympiad encourages a wide cross section of students to get involved. Emphasis is placed on active, hands-on group participation. Through Science Olympiad, students, teachers, parents, principals and business leaders bond together and work toward a shared goal. Spanish Club is open to all students interested in the Spanish language and culture. You do not need to speak Spanish to be in Spanish club! We often participate in community service and volunteer activities to help the Spanish speaking members of our community. We also like to do fun activities that center around local Hispanic food and culture. To be a member of our society, a student must receive 5 semester grades of Spanish that must fulfill the following: 4 A’s and the 5th semester may be an A or B. Induction is at the beginning of Semester 2. Student Council is open to all! We work on several events for the entire student body, such as Homecoming week, school wide fundraiser, all assemblies, the spring dance, etc. and welcome any input from students or staff. The Maine West Swim Guard is a group of students who are interested in aquatic safety. Throughout the year, the group meets to discuss aquatic safety as well as risk management. A major component of the club is the lifeguard training program that is conducted each year. Maine West is proud to utilize the American Red Cross program. Those who are certified are also eligible to work during the school day to lifeguard the physical education classes that use the pool along with other various special events. Get the ultimate backstage pass to all the Fine Arts Department productions in the auditorium. Become a part of Tech Crew and learn to build, paint and produce shows. All are welcome. We meet Monday through Thursday in the scene shop behind the auditorium from 3:30 pm until 6:00 pm. Come for an hour or stay the whole time. The full schedule is posted on the drama club website or join Remind at @4k8bb. Tri-M Music Honor Society, formerly known as Modern Music Masters, is a high school music honor society and is a program of the National Association for Music Education (NAfME). It is designed to recognize students for their academic and musical achievements and to provide leadership and service opportunities to young musicians. Varsity Club is for all varsity athletes. As a club we run fundraisers to help purchase fitness equipment and items used for our sports teams. We sponsor the powder puff football game and fall taffy apple sale. Varsity athletes in this club help with school spirit and attend as many sporting events outside of their own sport as they can. Attention Gamers! Are you a fan of Madden? NBA? Super Smash Brothers? Mario Cart or WWE? Join Video Game club, hosted in the library every other Tuesday after school. Please ask any of the library staff for more information. Students get a chance to work directly with the freshman class. We want the leaders of our school to help get freshman orientated with their schedule and the school. We encourage involvement in school functions, clubs and sports. The impact the students at the school have on the incoming freshman are key to a successful year. The Warriorettes Dance Team, also known as “poms,” is separated into a non-competitive squad and a competitive squad. The non-competitive season begins immediately after tryouts in May and continues to the beginning of November. This squad performs at all varsity home football games and at the fall and homecoming assemblies. The Warriorettes Competitive Squad begins with tryouts in late October and continues until January. The competitive squad attends IHSA competitions. Members of the competitive squad will also perform at varsity boys and girls’ basketball games and the winter assembly. Winter Warriors (formally Sole Runners) get together during November through January and workout as a group. We run outside, lift weights, cross-train and enjoy hot chocolate after our workouts!